The Office of Sponsored Projects (OSP) offers training classes and webinars in support of research administration at UT Austin. OSP training is designed to provide instruction and best practices to the research administration community for complying with federal rules and regulations as well as UT’s policies and procedures regarding sponsored project management. OSP partners with other research support units at the University – the Office of Research Support and Compliance (ORSC), the Libraries, the Office of Technology Commercialization (OTC), the Office of the Vice President for Research (VPR) – to provide targeted training in specific areas of proposal submission, compliance, and award management.  The CRA Study Group is a self-study program for all UT Austin research administrators who are interested in and qualify to take the certified research administrator (CRA) exam. OSP’s Mediasite is a library of NCURA and other webinars that support the professional development of UT’s research administrators. Useful forms, materials and information related sponsored projects. Learn how to request a report regarding proposal and award activity from the OSP.